Finally! A pulling comb that is easy to use, comfortable to hold, durable and attractive. A 4” tang inserted into a New England hard wood handle makes this traditional style comb a whole new tool. 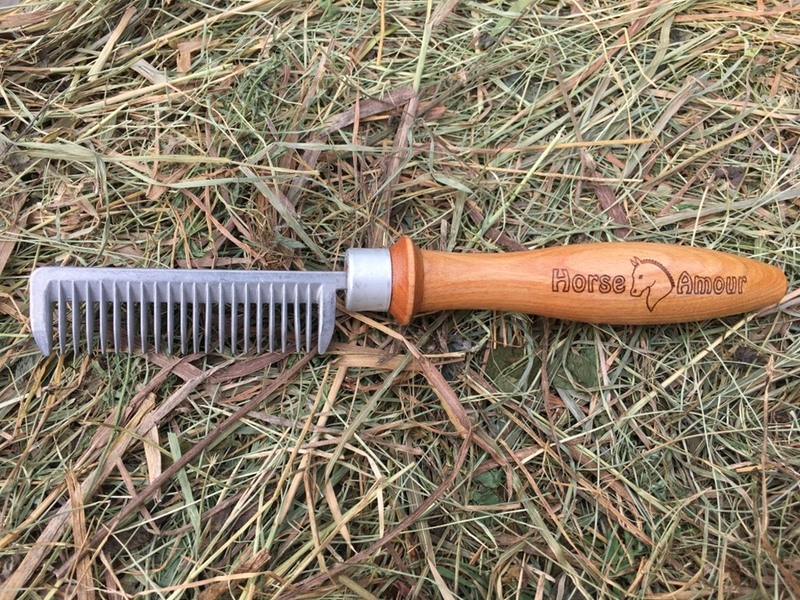 Designed by a horse person who wanted something simple and efficient, this comb will be a necessity in your brush box. Frustrated by cheap, small combs made in China? Knot anymore! The Horse Amour Ultimate Pulling Comb will pull, thin, de-burdock and even shed out your dog. Take your horse from knotty to nice in a fraction of the time! The goal of this tool being under $20 was unfortunately a fantasy, however it should pay for itself quickly with easy to use convenience.